Bleach knots are often applied to lace hair replacement systems for a more natural looking effect. However, black hair is an exception, the color is too dark for the bleaching agent to work effectively without damaging the hair. So can you have black hair with bleach knots? The answer is yes, you can. Lordhair has mastered a cutting edge method to solve the problem. 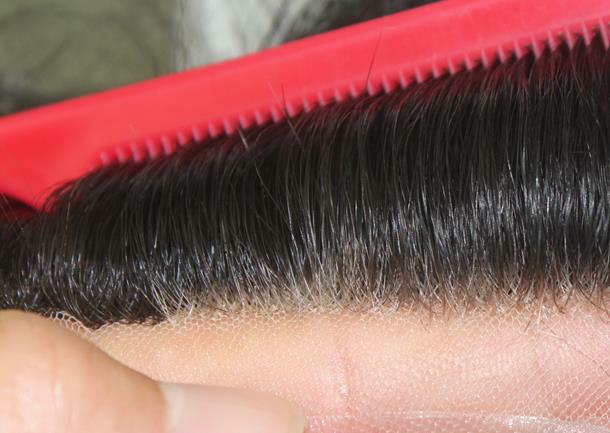 Bleaching powder damages the hair to some extent, and if the damage is serious, it will cause very quick hair shedding. With our new method, we do not use bleaching power, so the hair is not damaged. This new method is usually used on black hair, but if needed, we also can apply it to other dark hair. It can be used on a whole lace hair system or only on the front hairline. 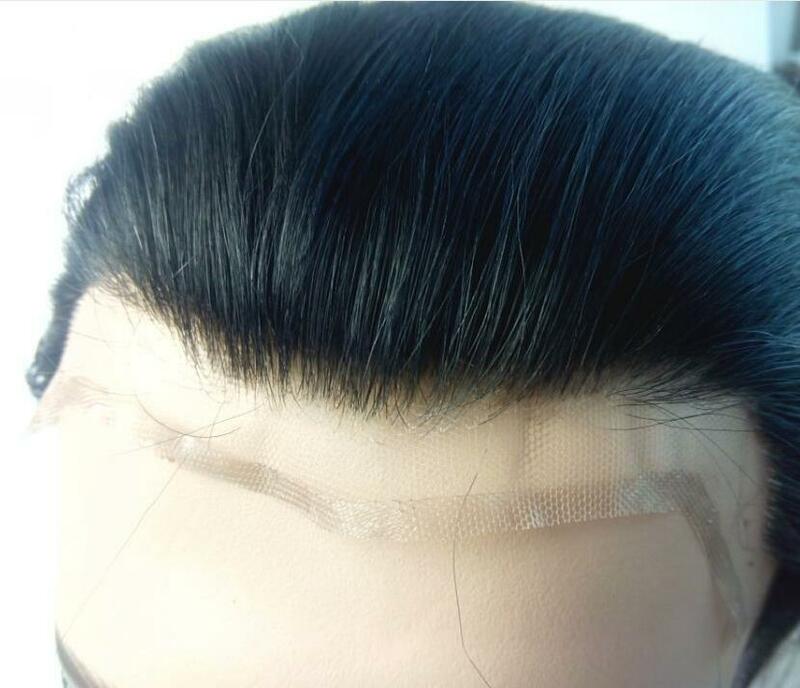 Now, many customers with black hair are enjoying the benefits of this new bleaching method and have a quite natural looking hairline. 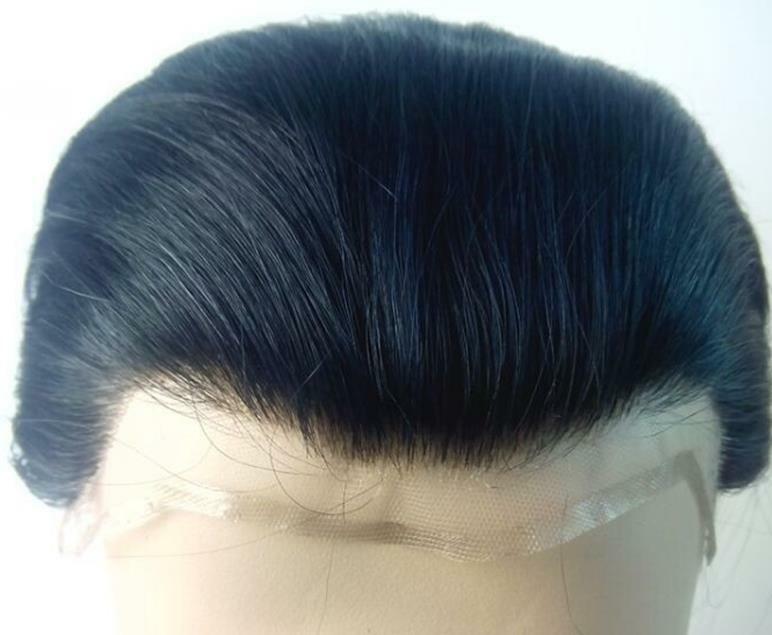 If you have black hair and want an extremely natural looking hairline, look no further! If you have any further questions, please don't hesitate to email: support@lordhair.com. Below are some pictures of the hair system we made with the new bleaching method. Enjoy!